In order to make as great an impact as possible we have become a member of the Rainforest Trust, an organization designed to protect the rainforest and its ecosystems. The Brazilian Amazon rainforest is a pioneer of ecotourism and a perfect example of how implementing a solar-energy system can successfully operate a boat with minimum environmental impact. Selva Viva is owned and operated by a French-Peruvian NGO, Latitud Sur. 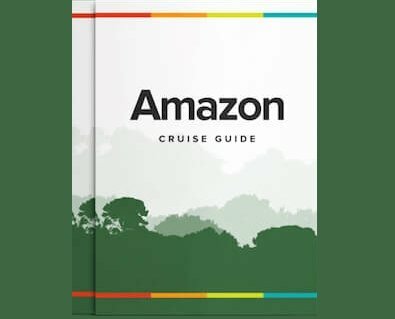 Guests can cruise in the comfort of knowing that any profit generated from their experience truly goes towards helping the undeveloped Peruvian Amazon department of Loreto. This is Lonesome George’s story, and a testament to why he is so worth remembering and what his legacy means for conservation efforts going forward. Here are just 10 of the most useful medicinal plants of the Amazon rainforest (though there are thousands more! ), and what they can be used for. The Galapagos Islands have been protected under a national park status since 1961, but what exactly does that mean? How many creatures are still endangered on the islands and what are the threats to the wildlife and plant life populations on the Galapagos today? The Amazon is the world's largest rainforest, Located in the heart of South America the Amazon covers 2.6 million square miles of land, and over 44% of that is protected, that's an area larger than Greenland!